Granite City Guardians – MML Blitz! 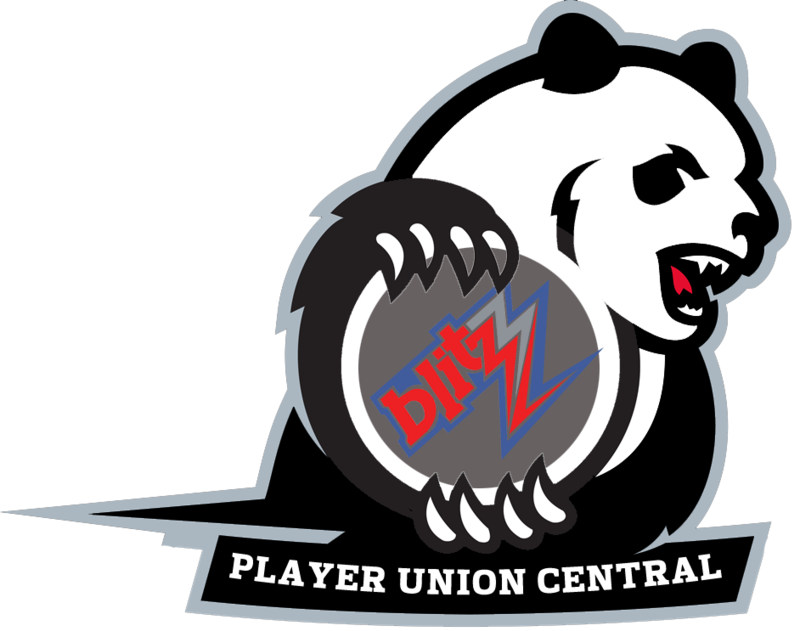 The Granite City Guardians are a new team, created in preparation for competing in the North Conference of the Blue Division of the Blitz League. They have been formed by the cities Lord and Protector Warwick A’Deen, with the sole purpose of bringing a title back to the Granite City and to the realm of Truestone. The team itself is populated by the inhabitants of the great stone city, which sites mainly humans and dwarves as locals, however along with the coach some star players have been brought in from around the realm to ensure victory! They play their home games in the centre of Granite City at the DT Arena, which was crafted and built by Gili Rockhelm, of the Sons of the Grey Mountain. Gili is famed for being the finest builder in all of Truestone. Granite City Grimbeards were formed eleven years ago and although they have had varied success (WFC winners & Happy Serenity Bowl winners S6) the team has failed to make the impact Truestone had hoped for. Blitz league made its intentions known to all that they were looking for new and exciting teams to enter this prestigious competition and naturally Truestone was invited to enter a team. A meeting was held in Tollgate Town in Mayfest between all the Lord Protectors and their advisors to discuss how best they shape a new team to represent them in the coming competition. Lord A’Deen of Granite City put it to the Lords, that although the Grimbeards had done modestly well it was time for a new direction, a new concept and he explained his master plan. He would firstly hire the most exciting coach in the land, a man with several titles to his name and whom had lead his human team ‘ Tollgate Town Tempests’, to many a championship in the Murder Factory League. Frenerick ‘Fast Talk’ Foreist had defied the doubters when he brought his humans to the competition and in a league where Chaos Pact, Orcs and Nurgle among others, dominated its standings, he still ruled the no.1 spot for the last three seasons. Lord A’Deen went on to explain that dwarves were good for out bashing opponents and giving the crowds what they wanted, if what they wanted was bloody injuries and grisly deaths to the team they played against but without the minor detail of out scoring their opponents, they generally would not feature in the playoffs or go to the show. It was with this idea that Lord A’Deen approached Coach Foriest and together they devised a system where several races within the realm could play together and could win a championship. The Lords excitedly agreed to the offer of a mixed race team and banners were posted throughout the land to ensure any or all would attend the trials. These trials were held in the Granite City, and among those who participated were elves, humans, dwarves, ogres, treefolk and of course halflings, all of which had resided from somewhere within Truestone. Granite City is the most affluent of all the cities and towns in Truestone after Lord A’Deen had lead his armies to victory over Hurk’N Toof at the Battle of Brocen Boot. Hurk’N was a despicable and vile Orc Warchief who had claimed a sizable stash of gold and gems from the sacking of many towns and his demise was quick in coming when Truestone called upon its greatest Protector to rid the land of his stench. Due to the wealth that was bestowed upon Granite City and its Lord Protector after this bloody war, the decision was made to build a great stadium within its walls and have all home games played there and the City would also finance the team and ensure they had everything they needed. Granite City was forged out of the Granite Mountains in the North region of Truestone. The dwarves of the mountain were largely responsible for its creation however it was not until humans inhabited the City, that it took to be a more sociable and up and coming city. Merchants took there wares from all over the land and set up their stalls within the granite walls of the city to trade and as was the case for most to eventually set up home. It was during the Winter of Reghaster that Lord A’Deen was finally elected Lord Protector of the Granite City due to his ferocity as a warrior but also his kindness as a leader. He was awarded the task of naming the new blood bowl team and as was his nature, he wanted something that symbolised his love for his city and his oath to always protect it and this was how Granite City Guardians was born. The teams logo goes hand in hand with the team name. The ‘Guard Tower’ is a symbol of the guardians who protect Granite City and the strength of its people. It is this strength that makes the teams defence solid like that of a guard tower. The teams primary colours are an off white sleeve and trouser with red armour plating and red dashes. One of the original ‘guardians’ of the city and a long unseen friend to Lord A’Deen was Grundrecht the Fierce, a stone golem that fought at his side during many a battle at the city walls. Peace has reigned for several years and Grundrecht took to living away from the city and dwelled within the forests around the skirts of the mountains. Lord A’deen stated to all, that to honour his friend he would ask him to come back to the City and be the mascot for the team, starting every game by walking to the centre of the Arena and smashing his fist into the ground. This would bring the crowd to its feet and would certainly fire up and motivate its teams players. The search for Grundrecht continues.. The clue is in the title...I’m Grim and I have a beard.